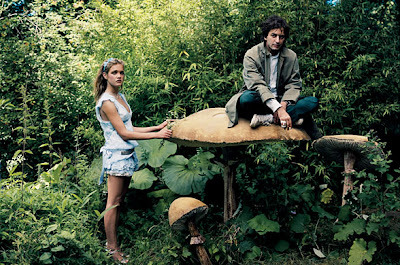 mademoiselle bagatelles: Curiouser and curiouser! 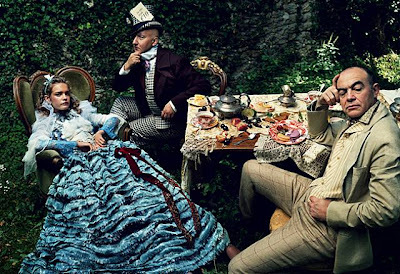 I love, love, love this photoshoot based on Alice in Wonderland by Annie Leibovitz for Vogue USA 2003 with model Natalia Vodianova. In each shot, the Designer who made the dress she's wearing is posing as one of the story's character... I particularly like Vikot&Rolf as Tweedledum & Tweedledee!